In other fun news, one of Microsoft's campus buildings in Mountain View California fell victim to thievery. 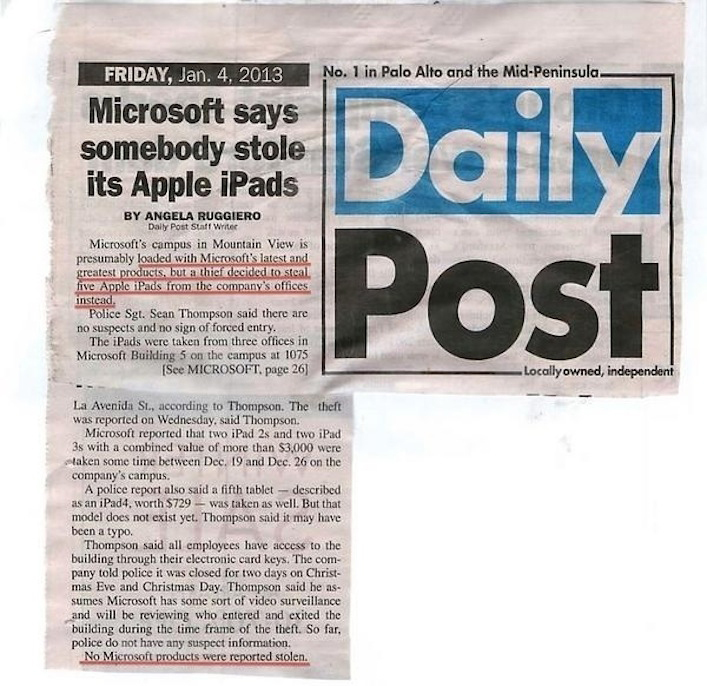 The culprit neglected to sweep up any Micicrosoft branded products, and instead stole 5 iPads including the newest 4th generation iPad from three separate offices. Presumably the iPads were personally owned by the employees, and weren't dissected in order to develop Microsoft's Surface tablets. But in reality, we think these iPads were used by Microsoft's iOS app developers for testing Office for iOS and other Microsoft developed apps. We love a good story powered by irony.